Digital ad spending in the automotive industry is rising fast and poised to hit nearly $11 billion by 2018, making it the largest local advertising category in most markets. While traditional media remains a huge factor in the automotive industry, manufacturers are putting a greater emphasis on digital spending for local dealers. Why the shift? 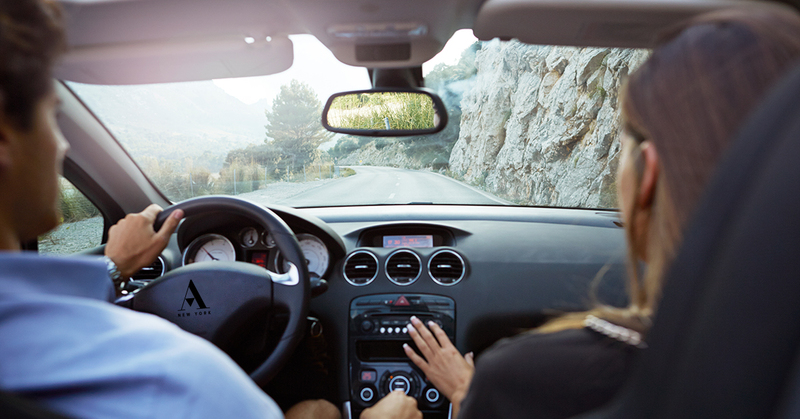 It comes from what’s been experienced on the manufacturer sites and the observations made on the consumer’s path to purchasing a vehicle. Auto marketers find display and video advertising to be the most effective digital tools for influencing purchase decisions. These channels are normally used alongside social media and paid search. 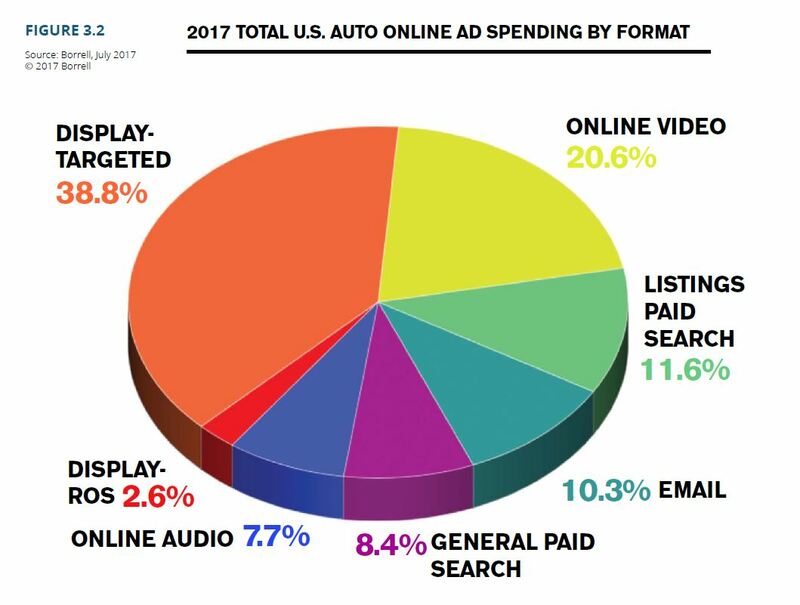 According to Borrell 2017 Automotive Outlook, targeted display and streaming video dominate in total online spending for the auto industry. Despite the positive trend, auto marketers are still facing challenges. One difficulty, for example, is continuously catching prospects throughout the buying cycle. The buying cycle is well-known to auto marketers. A prospective buyer feels the need to purchase a new vehicle and begins their research online. With almost every action happening online, the challenge of staying in front of them to prompt further research (and purchase) is a matter of staying available. Closing sales has always been the key piece for dealers, and the way it happens has steadily been morphing and is susceptible to increased competition. No longer do consumers only check out the cars in their town’s dealers’ row, now they face competition between same brand dealers, cross shoppers, and even online avenues. And manufacturers know it: Dealers need more fuel to buy more digital and increase their potential reach. What makes auto marketers successful? The answer lies in using data and analytics to precisely target the right audiences and create tailored experiences online. With positioning strategies at every stage of the buying cycle, consumers can be reached early, as they become in-market shoppers. You want to find out why customers are coming to your website, how they found you, and what actions and behaviors they take from there. There’s a lot of insight to gain from what your previous users have done. Next, strategize ways you can make the car buying experience easy, better, and informative based on the data collected. Ask yourself: Why do customers buy from me? How do my incentives differentiate from another dealer? What can I offer in this moment that another dealer may not? What’s the best way to get in front of a prospective customer in that moment? One thing to note: there’s no one-size-fits-all solution to personalizing. A good first step, however, is studying your website analytics alongside sale trends and building out a strategy from there. Then, focus on applying these in appropriate mediums – creative display, video, search, etc – to reach that audience in a unique way, at the right time. Analyzing the customer is something dealers have been doing for years, so this isn’t anything new. The major change is translating what to do with that information and how to feed it into the digital space, and acquire more customers. Same principles, new medium. Cassino, Kip. “2017 Outlook: Dealer’s Can’t Stop Spending On Digital Advertising.” Local Ad Spending Industry Papers, Borrell Associates Inc., 31 July 2017, www.borrellassociates.com/industry-papers/papers/2017-auto-paper-detail.